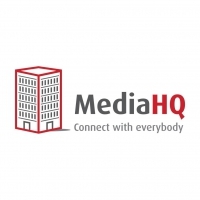 MediaHQ.com is trusted by thousands of communication and PR professionals to provide up-to-date media contacts, to get their story to the right person first time every time. We’re looking for an office administrator to join our diverse team. Someone who is organised and an enthusiastic self-motivator. Experience in bookkeeping, VAT returns and budgets. A knowledge of record management and reporting. Knowledge of accounts system Xero or similar is essential. Experience on HubSpot and Teamwork is desirable but not essential. Good commercial and business acumen. A knowledge and understanding of office organisation. Administering and organising the Mediahq.com office. Client liaison, customer training and customer engagement. Managing customer bookings and orders. Managing conference and training administration. Setting up meetings, making travel arrangements, booking venues. The closing date is Friday, Jan 11 at 1pm. Email your CV and a one-page cover letter as a pdf or .doc file to barbara mediahq.com. It should be a single document with no more than three pages. Include your name and Office Administrator in the subject line. We look forward to hearing from you.